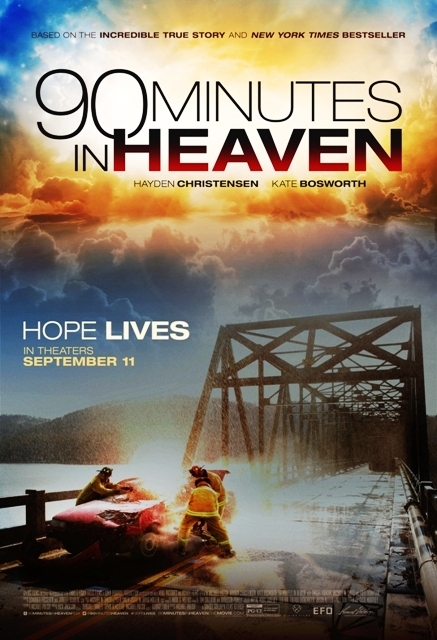 90 Minutes in Heaven movie: There and back again? What’s it like to die and go to heaven? Don Piper believes he knows. A horrendous 1989 auto accident left him battered, bloody, and – according to four Emergency Medical Technicians – dead. Yet 90 minutes later, he was alive. He says he visited heaven’s gates, heard celestial music, met deceased friends and family, saw streets of gold, and sensed God’s presence. 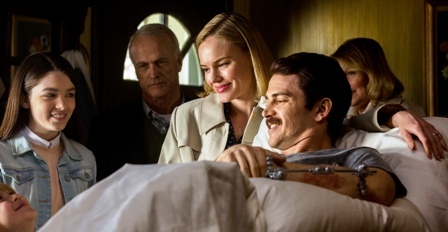 Piper’s bestselling book, 90 Minutes in Heaven (over 7 million sold; 46 languages), now is a film staring Haden Christensen (Star Wars Episodes II and III) and Kate Bosworth (Superman Returns). 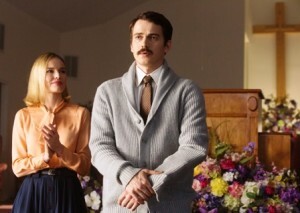 Michael Polish (The Astronaut Farmer) wrote and directed. Much of the book and film involve Don’s difficult recovery and subsequent service to others. Two weeks in Intensive Care, 34 surgeries, a year in a hospital bed, plus chronic pain grant him (and his wife, Eva) access to many suffering hearts. Their film is touching, moving and inspiring. But did he really visit heaven? Over dinner and on the film set, I found the Pipers warm, gracious, sincere people who’ve found profound purpose through tragedy. Don calls Eva the real hero. 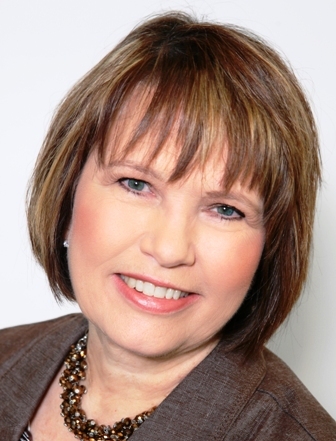 She supported the family, managed finances and cared for him amid myriad uncertainties. “I can’t wait to go back [to heaven],” notes Don. But his purpose – comforting others – keeps him going. I have longtime personal and professional interest in Near-Death Experiences (NDEs). My late mother had one. I’ve written, lectured extensively, and broadcast about them. 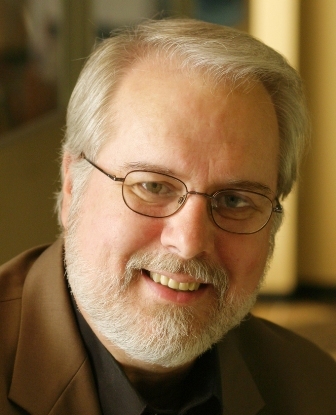 Was Don Piper’s heavenly experience real? Don’s serious head trauma included, he told me, symptoms of brain damage. That he did not bleed out during 90 minutes suggests his heart stopped or slowed, limiting brain oxygen. Could his Christian background have planted mental images that influenced his interpretations? Alas, we don’t have a mind/spirit-reading machine to validate NDEs. So we examine limited data. Consider the evidence timeline. Don says he was aware of his heavenly experience immediately upon regaining consciousness. He kept it a personal secret until telling a friend about a year-and-a-half later. Two years post-event, he wrote down some details. Six or seven years post-event, a church taped his oral account. 13 or 14 years post-event, his coauthor Cecil Murphy interviewed him, establishing the book’s sources (all “purely oral,” Don says) for its accounts of Don’s heavenly experience. Film producers wanted the film to adhere closely to the book. Memories can, of course, shift over time. Enough event-to-account gaps exist in that timeline to raise concerns. I don’t question Don’s integrity, but a fair analysis must consider the evidence trail and human memory’s limitations. His story could be completely accurate, or it could be modified unawares by selective memory or post-event interpretation. I asked how he could know what was in other heavenly residents’/visitors’ minds. To his credit, he admitted, “If I’m extrapolating…perhaps I’ve gone too far.” Then he raised a dissatisfying philosophical argument: Awareness of those not present would introduce mourning, when the Bible posits a mourning-free heaven. But if “they do know who is coming,” aren’t they aware of at least some who are not there? Did Don Piper visit heaven? Perhaps. Can his coping message help hurting people? Absolutely. Is the film worth seeing and discussing? Without question. And is his method of ensuring eternal life – accepting Jesus’ forgiveness – worth applying? Yes; I highly recommend that. Editors: Note pictures below. More images – and higher resolution versions of these images – are here and here.